Get instant access to a lot of relevant information about Saskatoon, SK real estate, including property descriptions, virtual tours, maps and photos. 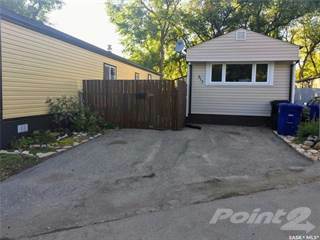 Point2 Homes gives you far more than a simple list of cheap houses for sale in Saskatoon, SK, as the search results pages also have a lot of information on Saskatoon, SK, right below the listings. Among the deep filtering functions on Point2 Homes, you can use Saskatoon, SK real estate prices, square footage, amenities and many other criteria to help narrow down your search. Price drops are another feature at your disposal, which can be especially useful when you’re looking for cheap houses or cheap condos. 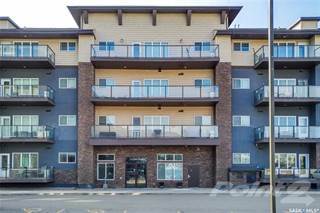 Use the map view to find Saskatoon, SK cheap homes for sale, based on city features or amenities that you may want close by. You can close in on a specific neighbourhood or area by simply drawing around it with the polygon or radius tools. Never miss an opportunity for a cheap home, by saving your searches. This way, you get new listings in your inbox, daily or every week, based on your preferences and your budget. If you’d like to get in touch with a professional, agents are displayed next to their listings, and they’re easy to contact through the online forms or directly by phone – all their contact information is displayed. If you want more options in terms of professional advice, you can click the Tools tab and Find an Agent, and you’ll get a list of helpful and knowledgeable real estate agents in Saskatoon, SK. Visit the Point2 Homes blog and you can find up to date expert advice on many markets throughout Canada, regular market reports, neighbourhood scoops in cities throughout the provinces, best deals for cheap homes, and other useful recommendations. Saskatoon is a beautiful city located in the southern part of the province of Saskatchewan, around 2.5 hours from Regina. Known for its great history and heritage sites, its beautiful setting by the Saskatchewan River and other attractions, Saskatoon is a great city that has a lot to offer. Saskatoon covers an area of approximately 209.56 sq.km. and has a population of 246,376. Its residents are primarily of European heritage (82.8%) as well as of First Nations (5.4%) and Metis (4.3%)heritage. Saskatoon experiences very prominent and distinctive seasons, with temperatures reaching lows of around -17°C in winter, and mid-to-high 20s in summer. Saskatoon has an interesting history, and the city was in fact inhabited by Aboriginal people long before European settlers arrived. The city actually has the largest percentage of First Nations residents after Winnipeg. Saskatoon – often referred to as “POW City”– is a cultural and economic hub and boasts a number of desirable natural resources. From oil and gas, to livestock, to wheat and potash, to uranium and diamonds, Saskatoon is very rich in a range of industries that all support the local economy– up to two-thirds of the world’s potash reserves are situated in or around Saskatoon. Other key industries that are growing in Saskatoon include distribution and logistics and digital media. Saskatoon is divided by the South Saskatchewan River, which separates the city into the east side and the west side. Boasting a number of green parks and spaces, Saskatoon offers a pleasant quality of life and enjoys great arts and cultural attractions. The major sports teams here include the WHL Saskatoon Blades, and the city has some impressive museums, galleries and live theatres, and it hosts a number of festivals and annual events. Popular areas in Saskatoon include: Avalon, Blairmore, Briarwood, Brighton, Diefenbaker, Dundonald and Eastview. With a balanced real estate market, a growing economy and low prices, Saskatoon is a very attractive place to buy or invest and prices are still low compared to other cities in Canada, especially in the western areas. The average house price in Saskatoon is approximately $351,000, which has remained fairly unchanged in the last couple of years. Key buyers in Saskatoon’s market are move-up buyers who are looking for properties priced between $400,000-$500,000 and are seeking something slightly larger. Other active buyers are those purchasing their first property, many of whom turn to the condo market since it’s very cheap. Due to high levels of development in recent years, there is now a larger-than-average inventory of condominiums which has created a desirable market of choice and low prices for young buyers. On the flip side, this does make it difficult for existing condo owners to sell their properties for a high price, so many owners are renting their units instead. The economy in Saskatoon is expected to grow steadily in the coming years, especially in sectors such as agriculture and digital media. Popular neighbourhoods in Saskatoon include Riversdale and Nutana, which are characterful and historic areas that have undergone significant development and are now very desirable places to live. Another charming and historic area is Sutherland, which is situated within close proximity to the University. Saskatoon is very much a buyer’s market, especially for properties such as condos. Saskatoon offers a varied range of real estate, and it’s possible to find single-detached properties in the range of $349,000-$379,000. 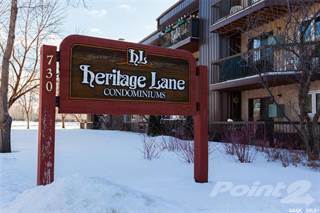 Condos are also cheap, and are a great choice for first-time buyers and those looking to enter the market. A condo can be found for between $199,000 and $260,000, and there is currently a high supply due to an increase in construction in recent years. Mortgage rates are reasonable and are expected to increase gradually as the economy grows. While overbuilding in the city has led to a large number of unsold homes, creating less favourable conditions for sellers, it also means that buyers can take advantage of a greater amount of choice and low prices.